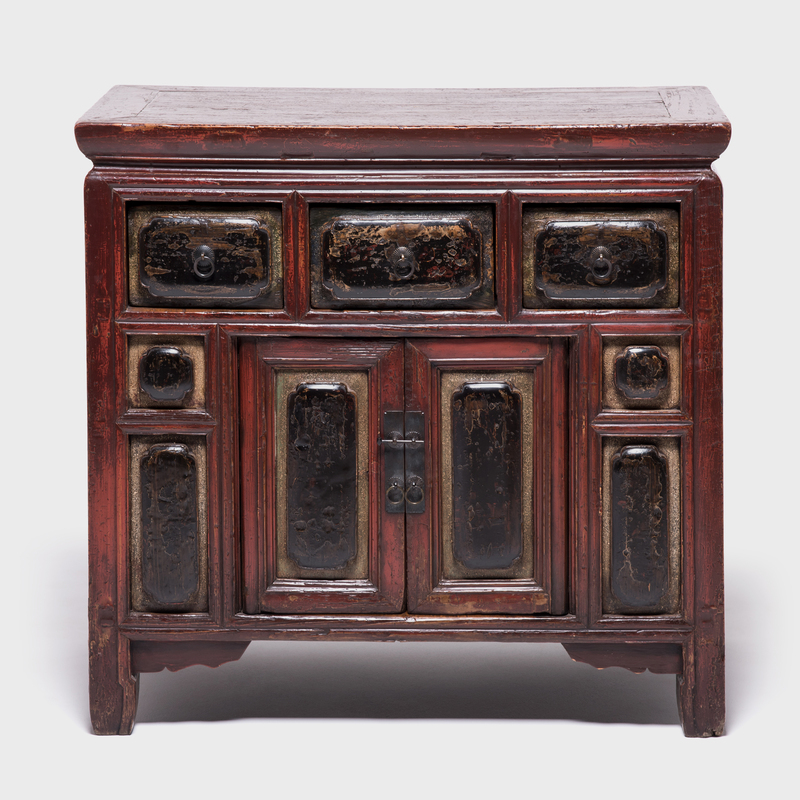 W: 36.0" D: 20.0" H: 36.0"
Carpenters in China's Fujian province during the late Qing dynasty frequently experimented with new carving techniques and ornate finishes. 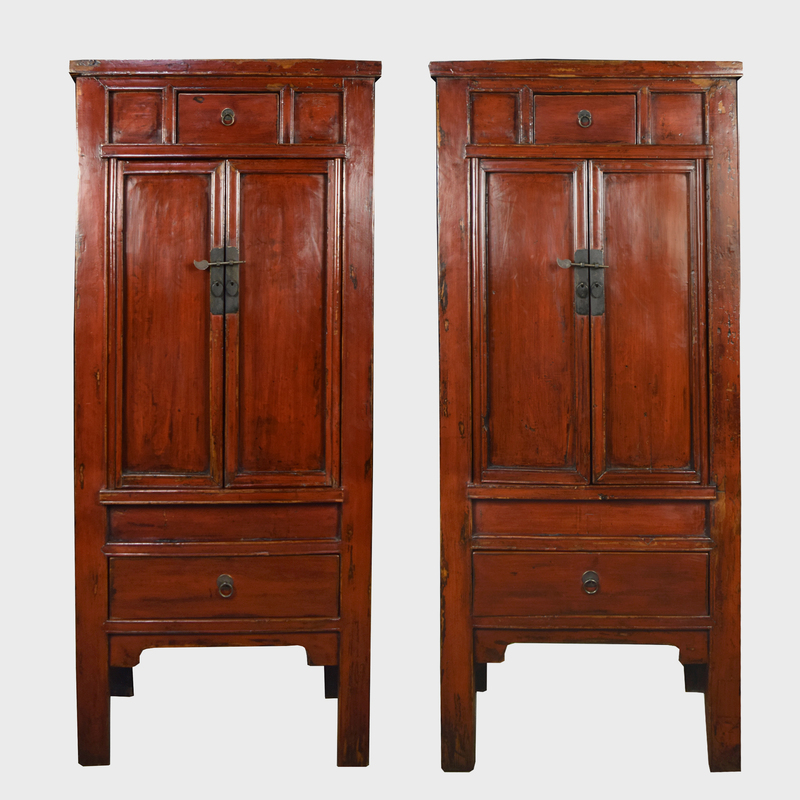 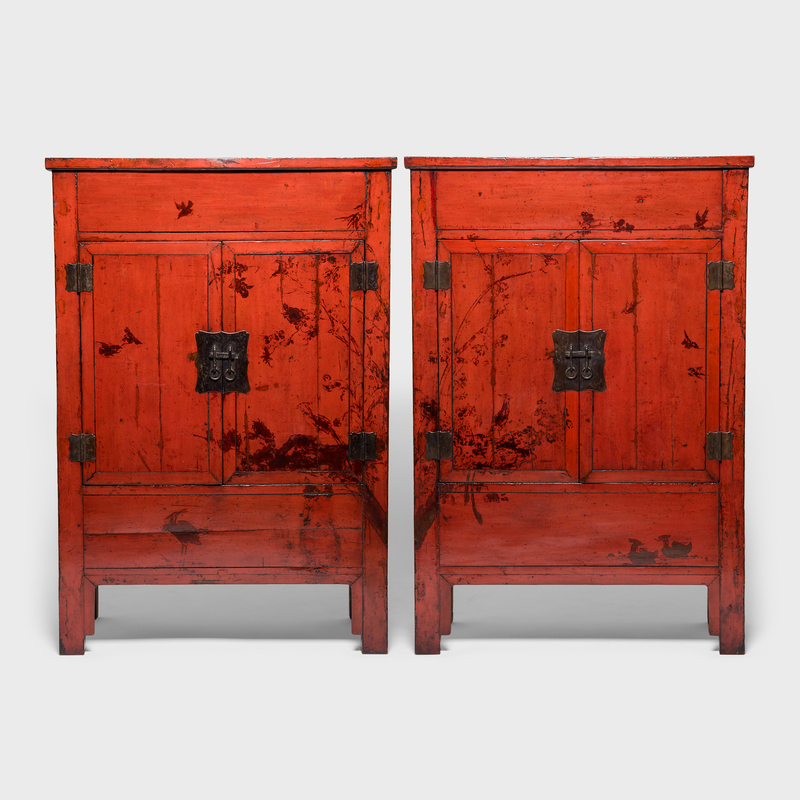 A collection of varying techniques, this provincial red-lacquered storage chest features cushion carved panels on its two doors and three drawers. 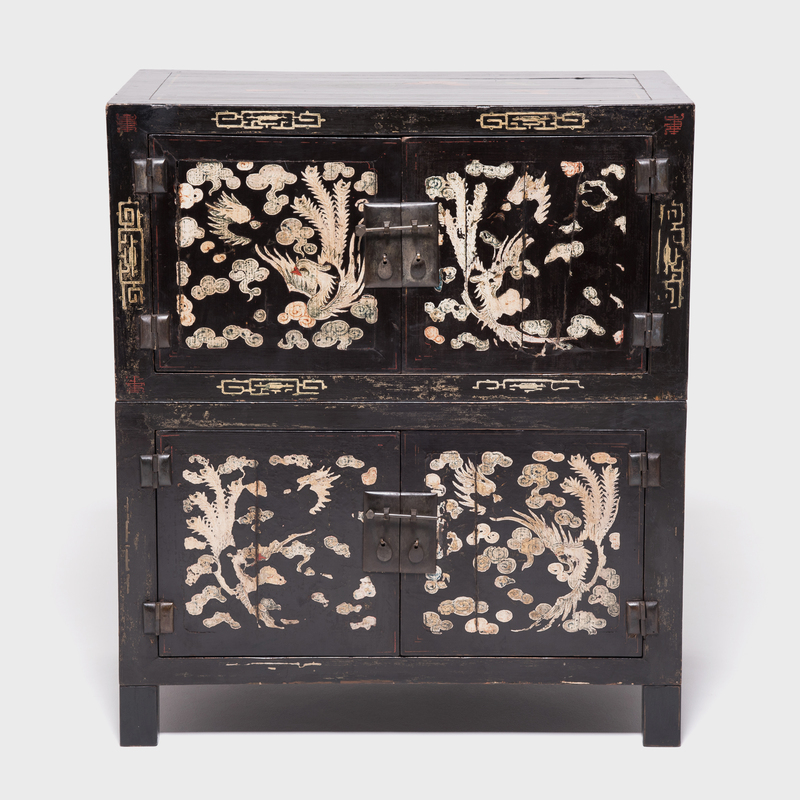 Each panel is coated with several layers of black lacquer and bordered by a gilt trim of lustrous mica. 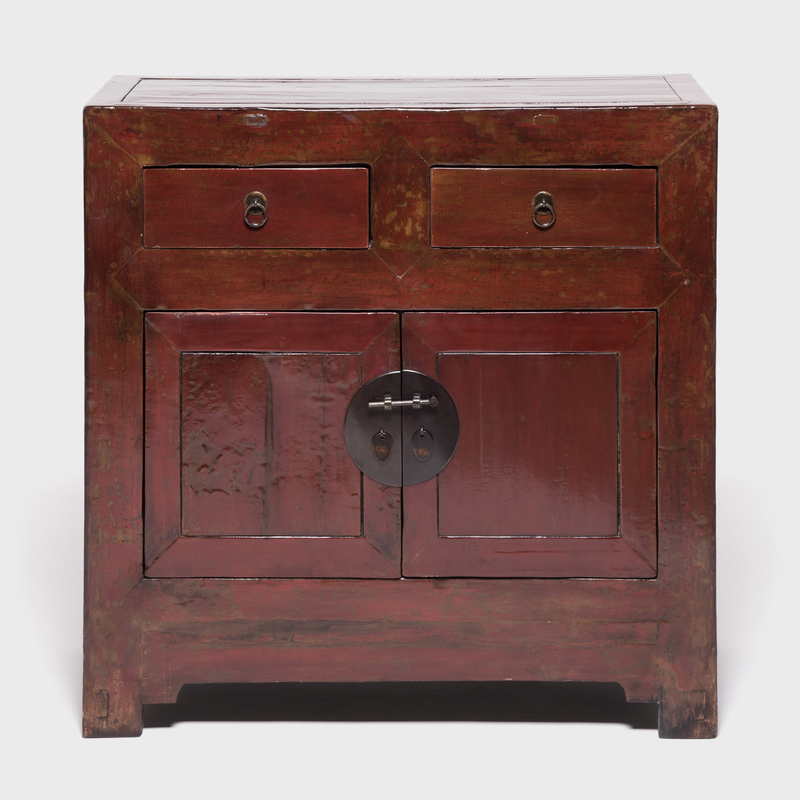 Rich in character, the chest has developed a wonderful texture with age.